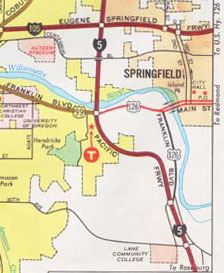 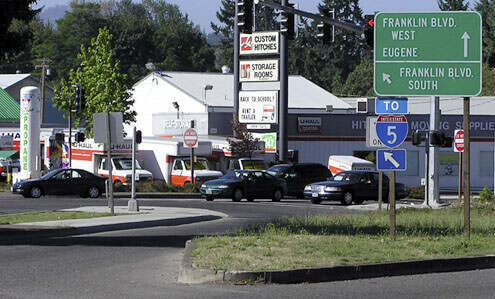 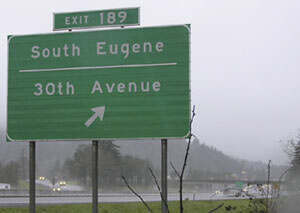 The sign pointing left (in the background) says "Franklin Blvd / Eugene downtown". Originally this was northbound US 99, which turned left here. 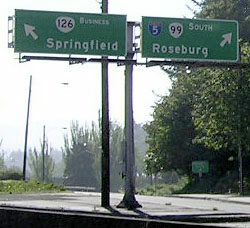 To the right was the beginning of US 28, and later the beginning of US 126. 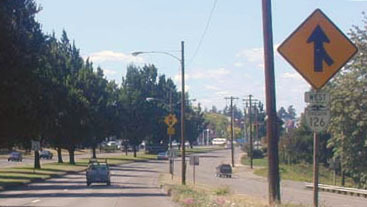 After 1954, this was the north end of Spur 126; mainline 126 continued left for another mile to the new US 99. 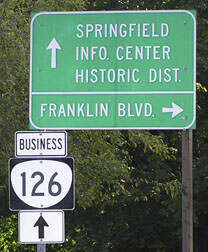 That remained the case until 1972, when US 126 was decommissioned. Now this segment of Franklin is unsigned OR 225.
last updated May 1, 2016.